What Is Diastais Recti And Do You Need To Be​ Concerned? Have you watched the movie “The Waterboy” with Adam Sandler? It’s one ridiculous piece of cinematic history simply because it’s so out there. And it goes to show you how far we’ve come in social acceptance. A movie like that, wouldn’t fly with most people today. Every time I see a discussion or post on social media regarding abdominal separation, I’m reminded of Helen, the Waterboy’s mom who calls pretty much everything she doesn’t understand “the devil” and What I hear when there’s a fitness or rehab product promising to heal abdominal separation is “Diastasis Recti is the devil” And I believed this at one point myself. Probably even looked like Kathy Bates as I said it. I love Kathy Bates by the way. Because…these movements–”the devil” Just kidding. For some women with DR, it may be recommended they retrain these movements because they can’t maintain tension, but this is temporary. As your body becomes stronger, your core will become better capable to handle the work you’re trying to place on it. Think, progressive overload. 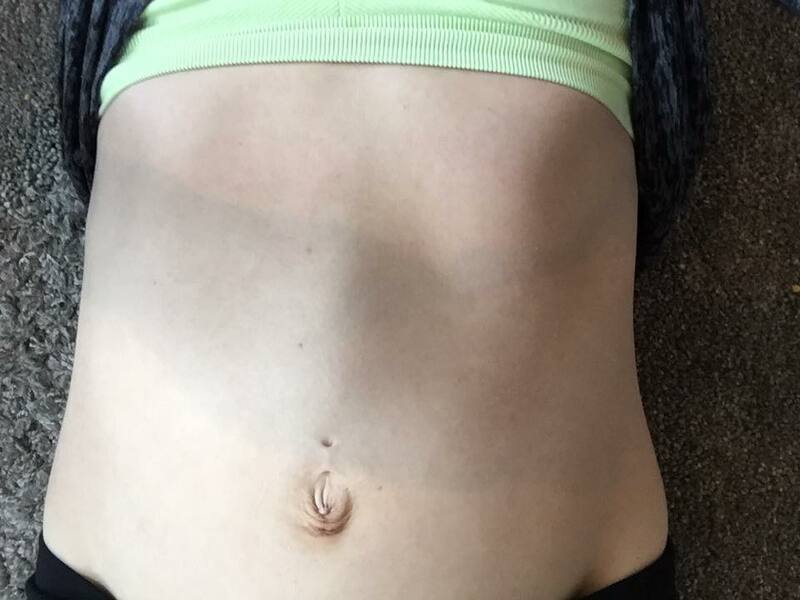 What is abdominal separation (DR)? 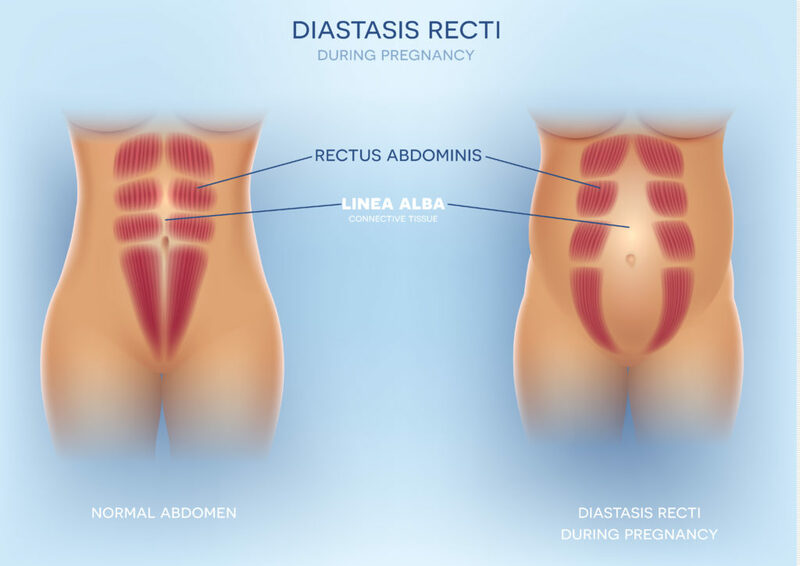 Diastasis Recti (DR), is classified as the separation between the left and right abdominal muscles which is commonly associated with pregnancy. DR is perfectly natural and it’ the body’s way of making space for your growing baby. In fact, a small study shows that 100% of women will have some degree of DR in the later stages of pregnancy (Mota et al 2014) and the abdominal muscles stretch for some women (Brauman 2008). Within the first 8-weeks postpartum, the healing process will take place but for some women (like myself) the gap doesn’t completely close. But it isn’t about the gap and I’ll explain why in a bit. Not usually. For most, it’s about building the core strength post-pregnancy. As your core gets stronger, your abdominal separation is generally a non-issue. As any healing process goes, it needs time and progressive overload. That’s it. Nothing fancy. Just because you have a DRA, doesn’t mean you’ll automatically start peeing when you work out either like some fitness programs you find in Facebook ads suggest. Antony Lo posted a study on his Instagram that looked at 300 women and found at 6 weeks postpartum, 15.9% of women without diastasis recti had a pelvic organ prolapse. (Bø et al 2017). This suggests women who did not have a separation within their rectus muscles, have a pelvic organ prolapse to some degree. 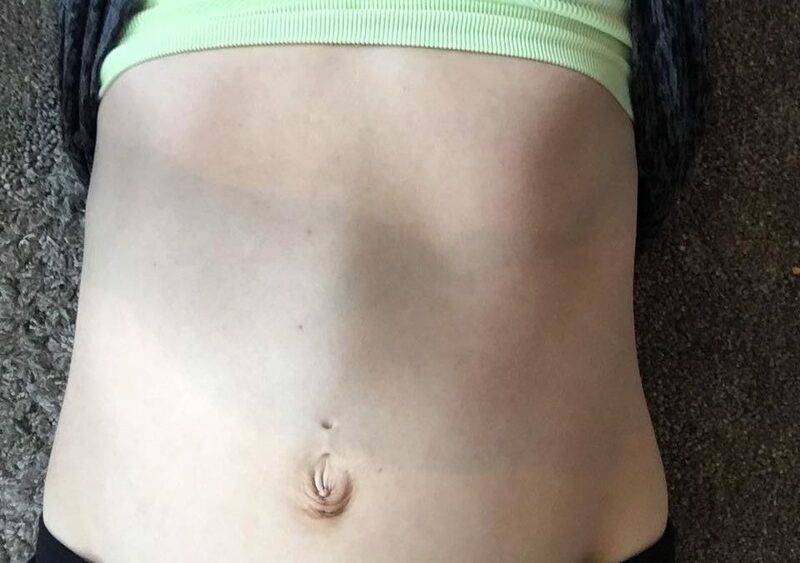 However, it was originally thought there was a connection between abdominal separation and pelvic floor dysfunction which is why women needed to be concerned to begin with. The reason why is unknown at this point, but still pretty interesting. If you’re concerned about DR, get assessed by someone with training and not a group on social media. If you find yourself feeling anxious about your DRA, see a pelvic floor PT. Spare your sanity and don’t go onto Facebook and ask in a mom group. You can also do self-assessment to get an idea of what you’re working with. Click here to check out the video to learn how. DR isn’t about the gap. Does having a DR mean that you have to cut out crunching or planking? Symptomatic pelvic organ prolapse and possible risk factors in a general population. Am J Obstet Gynecol. 2009 Feb;200(2):184.e1-7.